Monitor 1.500.000+ Products and be Alerted before it happens! Want more? Why not starting using it and seeing by yourself? We give you a full access for Free! Pick them and start monitoring your environment now ! For the last 6+ years, we have built an Accurate Vulnerability Database with multiple Sources, Vendors & Open Standards and Exploits, all based on private algorithm and US Government public standards. Be alerted just in time. With our Monitoring system, be alerted when we have the information and not days after. Why? We do not have any human interaction. It's fully automated! Stop with vendor that do not publish history, errors in description or any change in their Alerts! We handle all modifications in our database and let you acces it on a useful way, to really understand what's going on! vDNA is the Security-Database naming scheme that provides structured enumeration of specific detailed description for a Security Alert or Product. The main goal of vDNA is to provide to third party system/program/website an easy way to integrate full documented Alerts and Products. 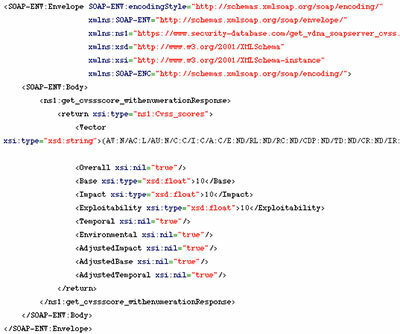 Any tool integrating the XML vDNA scheme will be able to consume, identify and report all data related to a specific vulnerability or Products.